A Happy Grey Ford Customer who purchased a new Ford Ranger Wildtrak! "I find Neil and the team at Grey Ford fantastic to deal with, and highly rate the service team, the back up there is Topps!!!!!..." At Topp Services we run a fleet of Ford’s including Transit van’s right down to a Ford Fiesta. 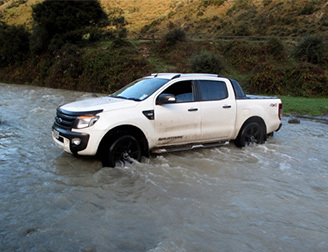 Topp Services we service the entire West Coast so that means big kilometers from Karamea to Haast and that’s why we have chosen the reliability of Ford, and I have to say the Ford brand certainly has served us well. I find Neil and the team at Grey Ford fantastic to deal with, and highly rate the service team, the back up there is Topps!!!!! "When I went into business and needed a vehicle there was just one company on the coast to deal with; Grey Ford..."
"Just a thank you to you and your team for the work you completed on our installers Ford Transit van..."
Just a thank you to you and your team for the work you completed on our installers Ford Transit van Thursday and Friday of last week. Steve (our installer) said that your service was excellent and he could not fault it from his first inital contact to collecting his van at the end. "Keep up the good work guys!..." This is a message for Simon; just to say a massive thank you for all your help and support with our customer Elena De Rivo (CTK870) over the Christmas period. By going above and beyond the call of duty you enabled them to make it to Wanaka in time for their wedding which was the sole reason they came to New Zealand in the first place, so thank you very much from all of us here at Kiwi Campers. Keep up the good work guys! 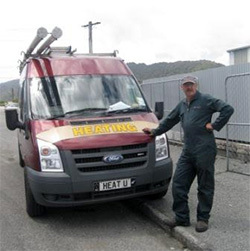 "I was a very happy and pleased customer"
I am travelling throughout the South Island pulling an Ultima 5th Wheeler with my Ford Ranger. By chance I met the Grey Ford Service Manager (Rodger)at a camp site over Easter when my battery went flat (which has been an ongoing problem while we have been travelling) Rodger was very helpful in getting me mobile again and that encouraged me to book in for a full service and check up with them. They did a thorough job and addressed all my queries and issues superbly and I was a very happy and pleased customer. They definitely went the extra mile in offering all their advice and recommendations for my particular usage. Many thanks Grey Ford. "Great compliments to Grey Ford and its team!" We just returned to the Netherlands from our wonderful holiday trip through New Zealand. I Just want to thank you and your colleagues once more for helpings us out with the malfunctioning lock of the doors of the Ford Transit campervan from Freedom Campers. Our journey was without further problems. Everything went perfectly. The sales team were great to deal with and were always ready and willing to help with anything. Excellent service and very polite and friendly. 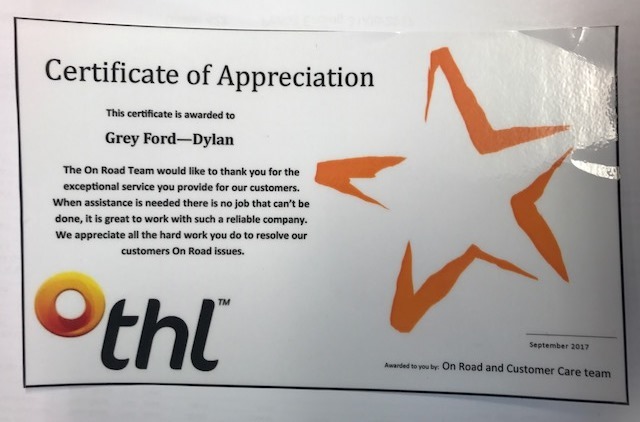 Just some positive feedback for your partners at Grey Ford in Greymouth who you directed us to in order to address some of the problems we have encountered with our motorhome. All the staff we had contact with were super friendly and helpful, and it was clear they were doing what they could to resolve some of the things I emailed you about, even if they weren’t mechanical issues so to speak. They have addressed and diagnosed a fair chunk of the list I sent you, but things that they weren’t able to sort, or required parts for, I believe they have emailed you about (or will shortly) to ensure any parts are sent to our next destination.